Egypt’s ministry of religious endowments (Awqaf), one of the country’s top state religious bodies, has decided to place all Islamic cultural institutes and preacher training centres under its direct supervision starting next academic year. The move comes in a series of measures taken by the ministry and the country’s leading Sunni Islamic institute, Al-Azhar, to curb "the spread of extremist ideas." Heads of the ministry directorates in different cities would have to monitor these education centres, the ministry said, and to submit reports on currently used text books and teachers within a month. Starting next academic year, only those individuals certified by the ministry would be permitted to head the operations of those centres or teach there. “There would be no exception to this rule,” the ministry said, warning that any cultural or educational institute uncertified by the ministry or Al-Azhar would be deemed illegal. 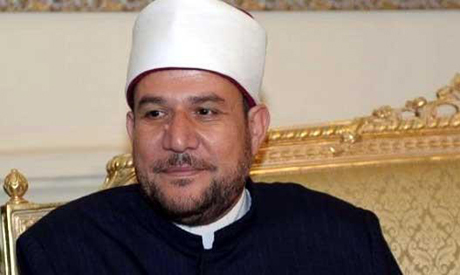 President Abdel-Fattah El-Sisi has recently called on Al-Azhar to renew its religious discourse in order to guide Muslims to a correct understanding of Islam. Since the ouster of Islamist president Mohamed Morsi in 2013, authorities have maintained that many unofficial religious centres and small mosques have been used for decades by the Muslim Brotherhood and other radical Islamist groups against the country's national interest and security. Last year, Al-Awqaf mandated all preachers to acquire a permit before administering sermons on the pulpit, banning all unlicensed preachers. The ministry also prohibited Friday prayers at small less-regulated mosques known as Zawaya. According to a law signed by former interim-President Adly Mansour following Morsi's ouster, unauthorised preachers could face jail terms of up to a year and maximum fines of LE 50,000 ($7,000). Since the ministry started to tighten its grip over the mosques and Zawaya, some groups turned to the educational venues as a substitute to spread their ideas, the ministry said. The danger which rises from some of these [unregulated] institutes equals that which emanates from arbitrary Zawaya, the ministry explained. No matter what happens in the ME, it is always the US fault! It is the US fault when they supported the Egyptian PEOPLE to call for the resignation of the Corrupt Mubarak. It is the US fault when they supported the Libyan PEOPLE with anti-fly zone when the Criminal Khadafy massacred them. It is the US fault not to interfere in Iran’s elections. It is the US fault not invading Assad Syria. It is the US fault they tried to end Iraq war!! It also the US fault that half the Muslims hate the other half for hundreds of years before the US existed. One can understand when the illiterate Arab man on the street makes these claims; brainwashed by Friday Imams. What one can’t understand is how the presumably educated Arabs pass the same blame!! Israel a side, a real mistake the US made in the ME was the invasion of Iraq; and for those with amnesia, it was Dubya not Obama! Whenever terrorism is mentioned, we cannot avoid talking about Obama’s administration, because like it or not if you get all the pieces of the puzzle together, there is a link between Obama’s administration's foreign policy in the middle east and terrorism. A small example of many is that ISIS attacks and killings in Iraq increased strongly after US air attacks began. Now we hear people commenting that it is an ME issue only yet play the blind eye that their own Western governments is in knee deep fully supporting those terrorists. The next should be to make it mandatory to start with praying for the health of the military tyrant at every Friday sermon. They should be encouraged to invite as speakers Mubarak era cronies like the corporate fraudster Sawiris and those comical judges who are in their cushy positions since the time of Mubarak. Unbelievable....now it's a "you people" problem?! The Arab Islamic world is to blame for all religious backwardness. You can blame the West for wars, invasions, oil chasing … etc, but you cannot blame it for religious brainwash. The Arab Muslim world (not the Muslim world as a whole) is like a pressure pot filled with antiquated ideologies, what the West does occasionally is pierce a hole in it and let it explode. Let’s not blame the hole-piercing; blame the pressure-building! It is great act to protect Islam from its hijackers and the Mofsideen fi EL-Erd. The spread of religious terrorism is because people have wrong Ideas about Islam.